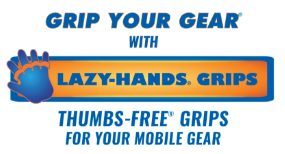 We offer a full refund for LAZY-HANDS Grips that are unopened, unused, and in original manufacturer’s packaging or if there is a manufacturing defect. We do not reimburse for postage. Please include your order number in your return for quick refund processing!